For accurate application of a variety of liquids. Complete with long reach lance with adjustable nozzle and safety valve. 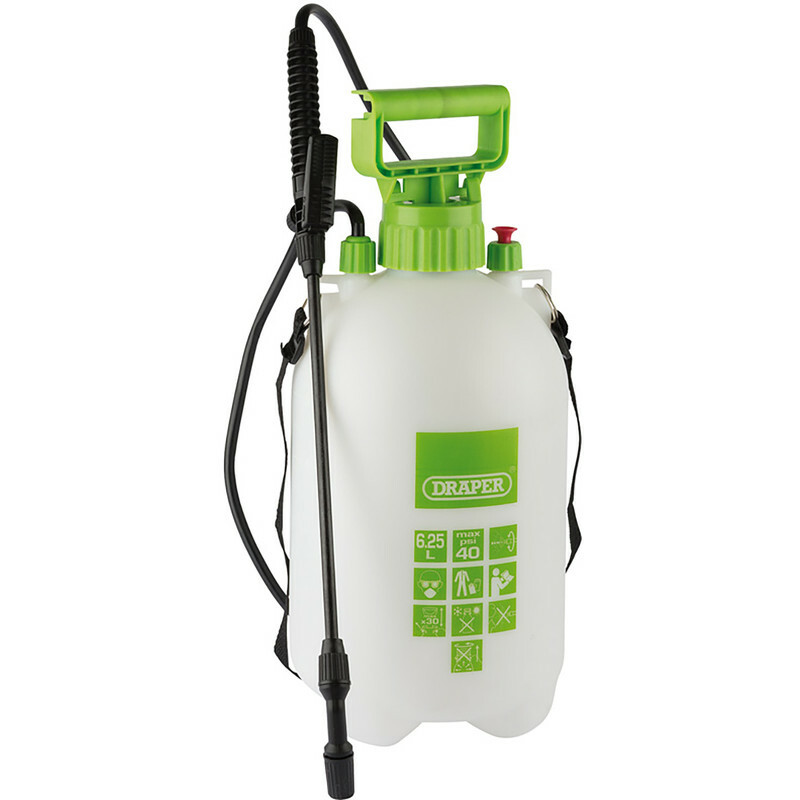 Draper Pressure Sprayer 6.25L is rated 4.4 out of 5 by 5. Rated 5 out of 5 by rhymer from draper spray gun L;eft fencing too late as usual bought the sprayer, weather just above freezing worked a treat covered well no problems. p.j.p. Rated 5 out of 5 by KyronStorm from Does the job well! I bought this last week and it works great. Can't really say much more, easy to hook up, pump the pressure and use. Much better than a small hand sprayer and did all the patio and drive with one fill! Rated 2 out of 5 by Paulhb from Cheap Cheap but as they say you get what you pay for an item, next time I will pay more and get a better product. Rated 5 out of 5 by D4delta from Well made. I bought this a few weeks ago to spray detergent on my patio stones. Very impressed with the quality and also operation of this product. Spray can be adjusted. Rated 5 out of 5 by Jg88 from Great service The pressure sprayer I bought was faulty with a leaky valve; one call to the service centre and a replacement was delivered next day. It’s the times when things don’t go right that show the measure of a good company in putting it right!